DA Services' ASI/Software continues to evolve with changing computer technology and business needs. ASI/Software targets the heavy duty truck parts wholesale/retail distribution and repair markets. It is also utilized by businesses which distribute auto parts, electrical parts, replacement parts, hardware and by manufacturing companies. ASI Software runs under Linux, with full use of many powerful Open Source software products. 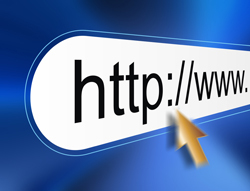 DA Services develops web-sites and web integration with your back-end systems. We can help you modernize your legacy systems. We've worked with Data General Business Basic, B32, Transoft UBB, Transoft U/BL and OneAdvanced U/BL under RDOS, AOS, AOS/VS, DG/UX, 386/ix, SCO OpenServer Unix and Linux. DA Services has utilized many of One Advanced Transoft’s modernization products including: Report Writer, U/SQL with ODBC access, Transoft Component Adaptor (TCA) for XML and Transoft Gateway Adaptor for JDBC. When specific skills are needed, DA Services employees a trusted group of expert contractors to meet the varied requests of our clients. When you trust your computer services to us, we treat your business with the highest regard. We strive to earn your business every day. When a problem arises, we’ll be available to help. We have clients who have trusted their computer operations to us for over 30 years. We work to become a dependable information technology resource. Our goal is your company’s success. Contact us to discuss your computer systems needs.